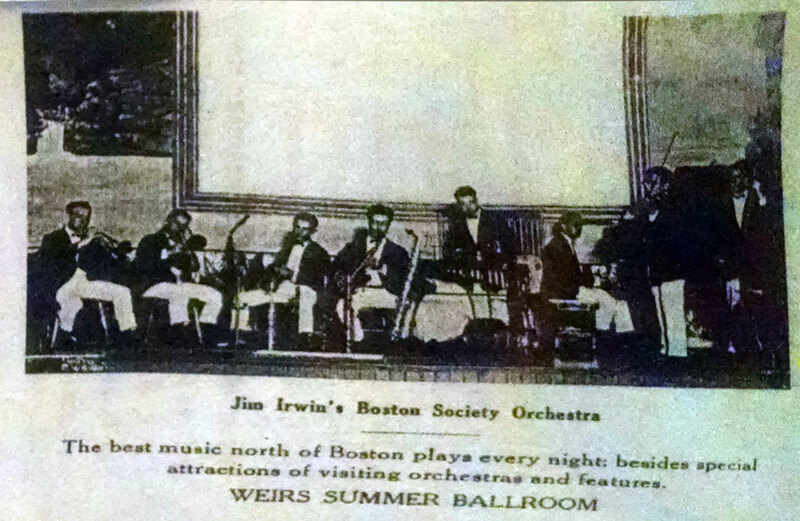 In this postcard, the Boston Society Orchestra has set up their sign on the stage. Note the intentional similarity of the band’s name to the famous Boston Symphony Orchestra! This Orchestra featured vocalist Larry Holton, and was one of the earliest big band dance bands. The band had several recordings available on vinyl 78 records, on the Jewel and Oriole labels. 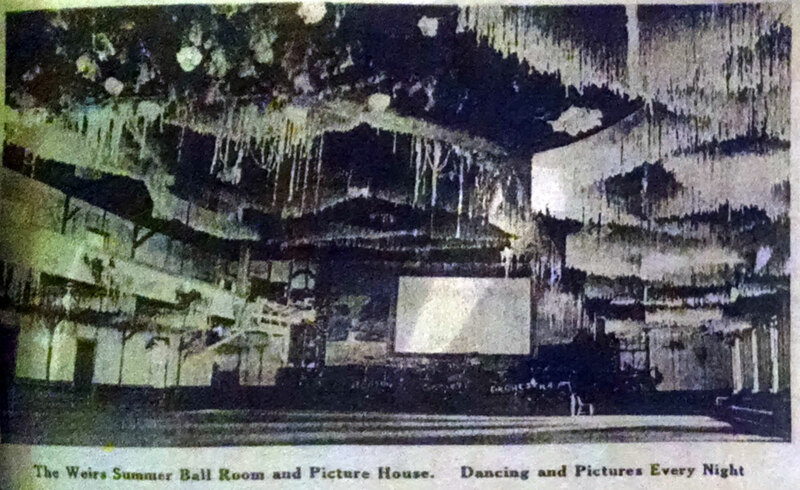 Knowing that the great Weirs Beach fire of 1924 started at the Music Hall, the webmaster speculates that perhaps the material hanging from the ceiling shown in this photo might have been very combustible. But this was not the cause of the fire, it only contributed to it. The cause was arson. The arsonist was a 29 year old local man named Milo. L. Prescott. Prescott had previously been a mental patient at the New Hampshire School for Feeble Minded Children in Laconia. He confessed that after getting the idea from a movie, he started the fire by igniting shavings placed under the front piazza of the Music Hall. 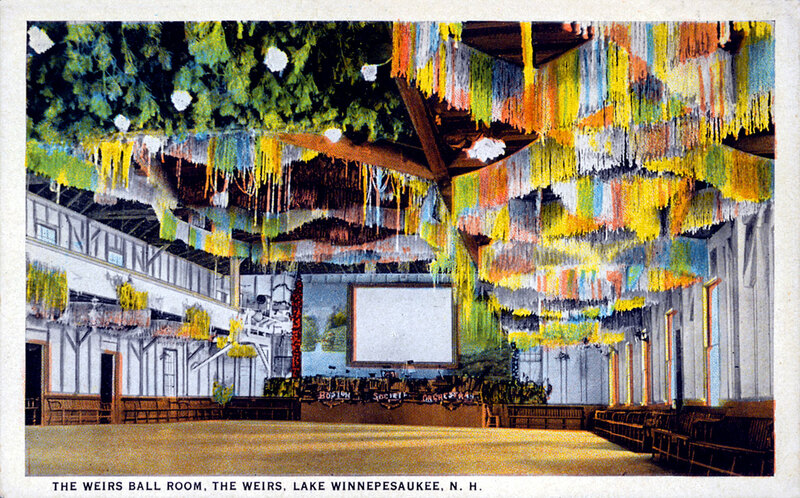 The following two photos are from a 1923-1925 Winnipesaukee Pier brochure. Jim Irwin owned both the Music Hall and the Pier.